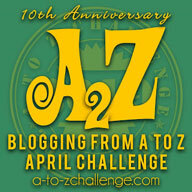 Home / Biweekly Meme / FBQ / Free-Bargain Books / FBQ(25)--> FREE and BARGAIN books quota of the day! 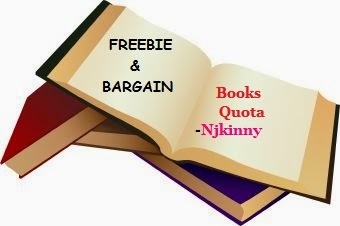 FBQ(25)--> FREE and BARGAIN books quota of the day! Over 280 Five Star Reviews on Amazon! The Andersons are back in this exciting new line of the bestselling series everyone is talking about. In this new series, you will meet Richard Storm and his five children, and the circumstances that ripped him away from his brothers, Joseph and George Anderson. See how they finally meet. The bonds of an Anderson bloodline are too strong to keep their family apart forever. Richard Storm is saddened that his children are throwing away their lives, and offers them an ultimatum. They have two years to take a failing business and make it a success or they lose their trust funds, and are on their own. His stubborn children think he’s gone insane, but they don’t know the powerful secret that can knock them to their knees and tear their family apart. Will they come together as they should, or will self-centeredness consume their hearts, ripping their family apart forever? Crew Storm opens an exclusive resort in the Catalina Islands off the coast of California, and pride swells within him as he accomplishes the impossible. Everything is going on track until a blond steps into his life and begs him to teach her how to be the perfect seductress after she researches his technique of charming and luring women to his bedroom. Haley Sutherland is done with her fears, done being a wallflower and done being invisible. She comes up with a brilliant idea to find the perfect person to teach her how to seduce the man she truly wants. Though, the person she’s chosen to be her teacher is Crew Storm, soon she finds she’s forgetting her first love’s name. This story will take you on a journey through the heart as Crew teaches Haley more than she ever imagined, and finds himself gaining more than he thought he needed. Reunite with the Andersons as they discover new relatives and meet this new branch in the Anderson line. Will love truly conquer all, or will stubbornness make them lose everything they never knew they had. #1 Bestseller in culinary cozy mystery.. When millionaire Regis Banks drops dead at his own party, everyone assumes it was from natural causes - after all, the man was celebrating his one-hundredth birthday. ... Everyone except Lexy Baker’s amateur sleuth grandmother, Nans, and her three friends, that is. When it turns out that Regis’ death might have been caused by more than just old age, Nans refuses to let the trail grow cold - especially after a local reporter trying to get a scoop threatens to write an article blaming the death on Lexy. It doesn’t take long before Nans and Lexy are up to their eyeballs in suspects. And when those suspects start dropping like flies, Lexy and Nans have to step up their game before the killer claims their next victim. Over 295 Five Star Reviews on Amazon!